HONG KONG (Reuters) - China's ZTE Corp (HKSE:0763.HK - News) (Shenzhen:000063.SZ - News) said on Friday that a U.S. ban on selling parts and software to the company was unfair and threatens its survival, and the mobile phone and telecommunications equipment maker vowed to safeguard its interests through all legal means. The U.S. Commerce Department's Bureau of Industry and Security, or BIS, this week banned American companies from selling to ZTE for seven years, saying the Chinese company had broken a settlement agreement with repeated false statements. "It is unacceptable that BIS insists on unfairly imposing the most severe penalty on ZTE even before the completion of investigation of facts," ZTE said in its first response since the ban was announced. 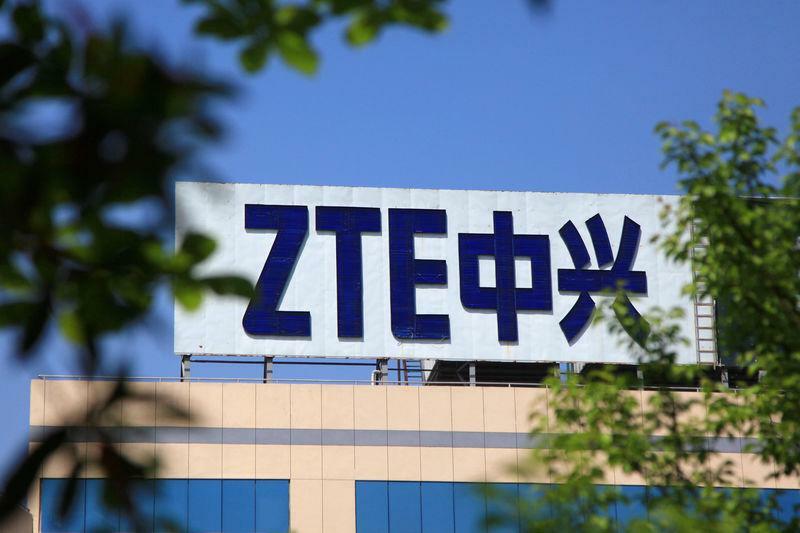 "The denial order will not only severely impact the survival and development of ZTE, but will also cause damages to all partners of ZTE including a large number of U.S. companies," the statement said. ZTE said it regards compliance as the cornerstone of its strategy, invested $50 million in export control compliance projects in 2017 and plans to invest more this year. A senior U.S. Commerce Department official told Reuters earlier this week that it is unlikely to lift the ban. "There is no provision currently for that to occur," the official said, who declined to be identified due to the sensitivity of the matter. One U.S. attorney who declined to be named because the firm has clients with interests in the case described the ban as “a death sentence” for ZTE. When sanctions reach this level, U.S. courts generally do not second guess a decision from the executive branch, said the attorney. The Commerce Department has an appeals process for companies to try to get off the list, but it is unclear whether that would be available to ZTE because the case had been previously subject to a settlement, according to people familiar with the matter. Even so, ZTE would have little recourse in the near term because appeals would have to be approved by the BIS, the same agency that issued the ban. Companies must submit appeals to a committee that would issue a ruling within 30 days, according to the agency's website. ZTE’s best chance would be if U.S. companies choose to lobby the Trump administration to lift the ban to save their business with ZTE, said Adams Lee, an international trade attorney at Harris Bricken. The ban has escalated U.S.-China tensions after the two nations threatened each other with tens of billions of dollars in tariffs, fanning worries of a full-blown trade war. ZTE chairman Yin Yimin told domestic media on Friday at its Shenzhen headquarters that the firm would increase research and development. "Relying on oneself is better than relying on others," state media Xinhua quoted Yin as saying. E-commerce giant Alibaba Group Holding Ltd (:BABA.N) said on Friday it had acquired a Chinese chipmaker, underlining its commitment to driving chip-industry development. Meanwhile, the U.S. government is considering using an emergency law to restrict Chinese investments in sensitive U.S. technologies, a senior Treasury official said on Thursday. Trade in ZTE shares has been suspended since Tuesday. As of Monday's close, they were worth some $19 billion.